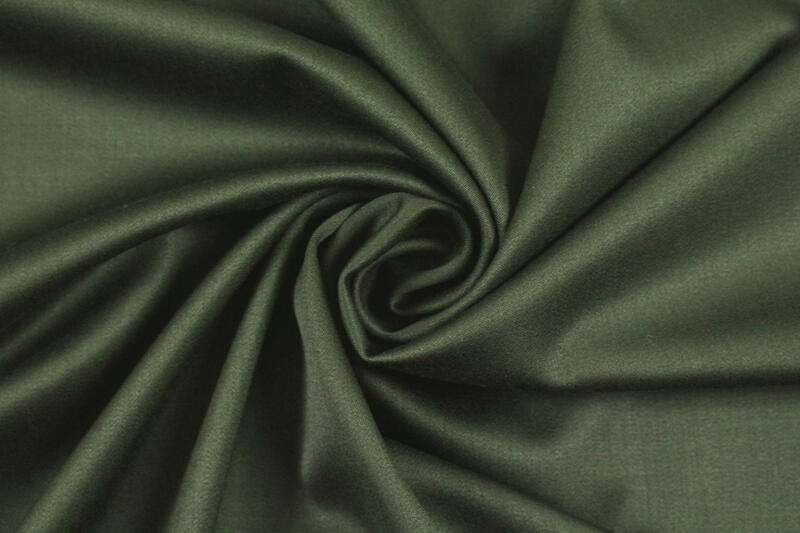 This gorgeous wool sateen suiting is elegant and very high quality, with a smooth texture, a soft sheen and a woven selvage. 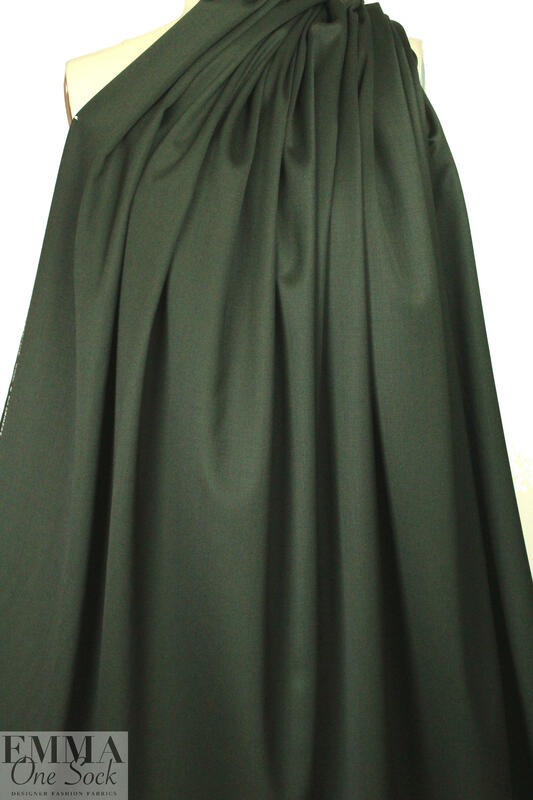 It is medium weight and opaque with some body in the drape and the color is hunter green (PANTONE 19-0419). 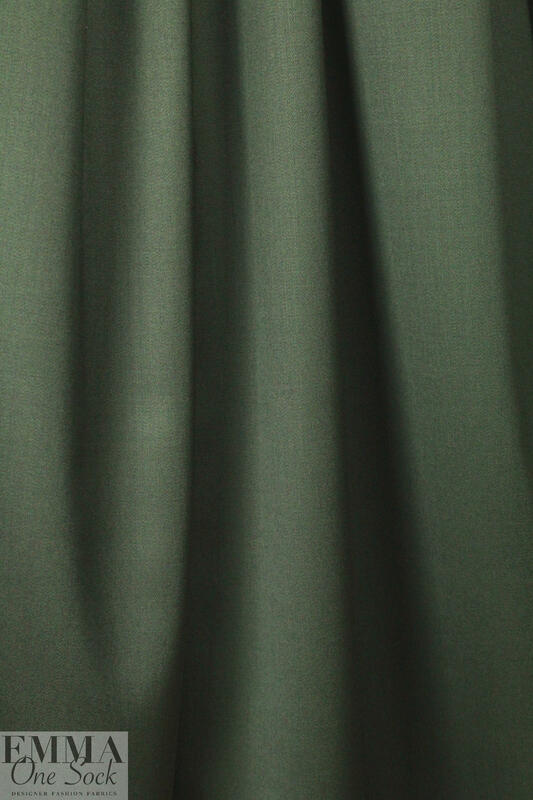 Resistant to pilling and wrinkling, wool sateen is a favorite of bespoke tailors. It is sophisticated, classic ... a true luxury item! Perfect for a suit, jacket, sheath dress, pencil skirt, topper coat, trousers, etc. Dry cleaning recommended.